A few days ago, I was standing in line to buy lunch at a fast food place. There were many people in line to order and just as many in line to receive their food. I was there for a few minutes doing what I often do in crowds – people watching. I noticed someone also waiting, and I totally judged this person in my head without even thinking about how I consider myself a non-judgmental person. I did not judge her fairly at all and based her character solely on the way she presented herself. I played out a few scenarios in my head in the minute or two that I waited for my food, and then went about my day. About 30 minutes later, I ended up having contact with that same person in another setting. I was flabbergasted at myself when I realized that she was the person I had not so positive thought about, and I probably flushed with embarrassment, even though she had no idea of the thoughts that raced through my head just 30 minutes earlier. You know what? 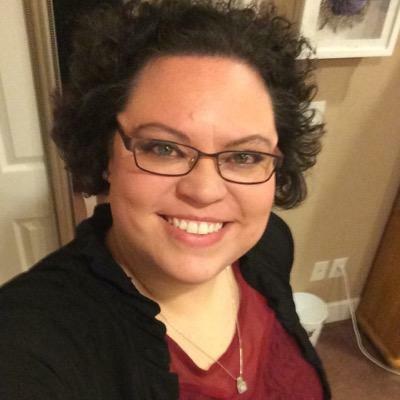 I was completely wrong about who I assumed she was, and I’m thankful for the lesson. I do try to consciously be a non-judgmental person and not fall into the trap of assuming or pre-judging a person before I know the true person. I can honestly say that I make a conscious effort not to be judgmental. I learned much about myself that day. You know what else? It’s mercy that reminds me that I am human and far from perfect. While I may have not presented any actions against the woman through judging her before I knew her, in my heart I was not giving her a fair chance. Mercy is there to save me from negative behaviors and tell teach me that while it’s not okay to assume I know what kind of person someone is just by looking at them, it is human nature to do so. Mercy also reminds me that lessons like this should make it easier in the future not to fall into that trap again. I also pray that Mercy comes along and reminds someone else that I am not the person I may appear to be when they judge me before knowing the real me. Read other Five Minute Friday posts on the topic of ‘Mercy’. I guess this has been God’s way of saying that I have some pretty awesome parents who taught me how important responsibility is. While they have taught me independence, too, I also know that they are still right there behind me to catch me if I fall. Instances like this morning are how God speaks to me. Today he’s showing me that my roots are strong, and I will continue to weather the storms and thrive in the sun. P.S. After publishing this post, WordPress reminded me that this makes my 100th Post! Read other Five Minute Friday posts on the topic of ‘Roots’. I grasp for ideas on what to write. Why is it so difficult, sometimes, for me to make decisions? I often think that I see too many sides of something to pick between multiple options. I want to participate and become a better writer, but I fear that there is no one topic that I know well enough. I fear that I am not good enough or that my topic won’t be of any interest to anyone else…or even myself. So I grasp some more. I look through several ideas, thinking that I’ll know when it’s right. Right? I finally come up with a couple of ideas but none really feel right. That’s when I remember how much I enjoy Five Minute Fridays and have even blogged in a similar manner when it’s not a Friday. I pick just one word and write about it. I can do that for 31 days! Oh, gosh! Can I come up with 31 words for the month in which to blog? It was easier than I expected. It was in my grasp before I even knew it, and I have a few other words on standby in case I’m just not feeling my voice flow into my writing with one or two of my choices. 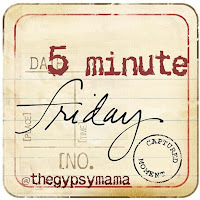 Read other Five Minute Friday posts on the topic of ‘Grasp’.